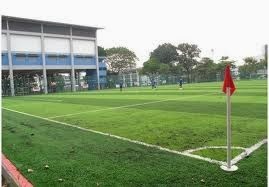 Serangoon Garden Secondary School is located at 21, Serangoon North Avenue 1 in Singapore 555889. It is enclosed within the Serangoon Region. Serangoon is situated at the central section of Singapore. It actually lies within the north-east region. Nearest MRT is Kovan MRT and the closest bus interchange is Serangoon Bus Interchange. Amenities in the area include myVillage at Serangoon Garden, Central Place, NTUC Fairprice and Sheng Siong Supermarket. Some of the schools close by are Rosyth School, Bowen Secondary School, Awwa Special School and Zhonghua Primary School.